Chloe Glaeser is an instructor of operations within the UNC Kenan-Flagler Business School. 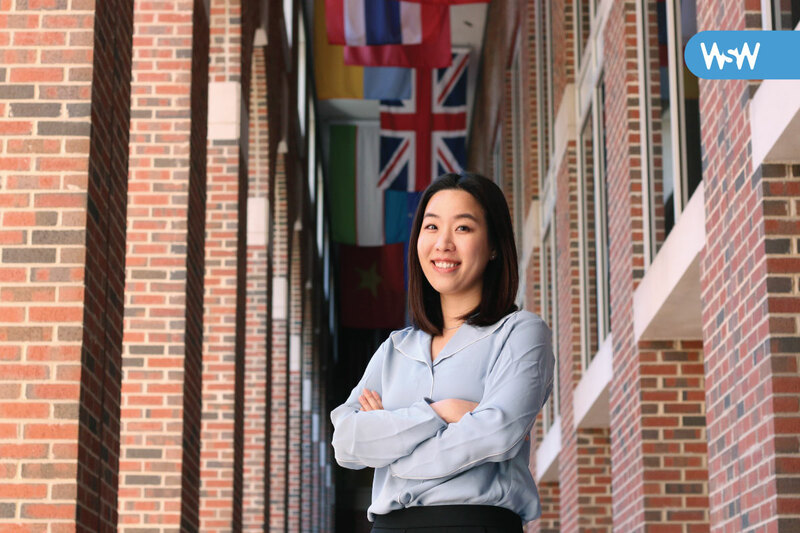 Her data-driven research helps companies understand and improve business operations. A professor! I was in elementary school and did not even know what the job entailed. My mom was a high school teacher, and I thought I would be outdoing her if I taught at a college. I majored in business for my undergraduate degree and, back then, I never thought I would be a professor. My sophomore year of college, I took a course called “Business Decision Modeling.” It was a business optimization course, which is actually a part of the course I am currently teaching. I always think about how to optimize all aspects of my life — even when I am walking, I am thinking about minimizing walking distance or waiting time at the light — and it was earth-shattering to find that there is a whole academic field that studies what I try to do in my head on a daily basis. I knew my career had to involve improving the current state of business and making things more efficient, so I quickly fell in love with operations management. 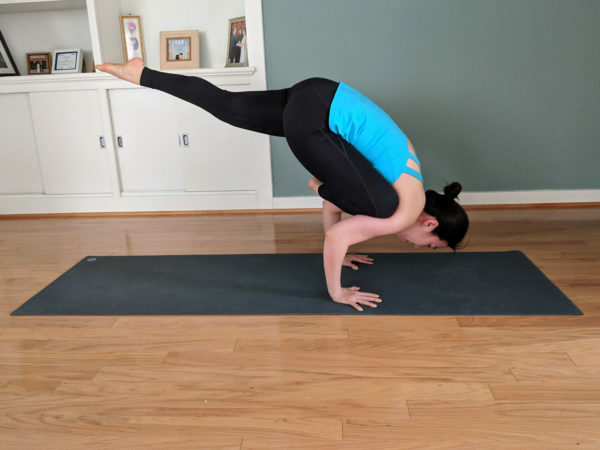 Glaeser brings balance to her life through yoga. In a recent project, I collaborated with a retailer to help them find a new business location. They did not have any specific sites in mind and asked me to find some. I knew that I would not be able to answer this question with the statistical software I had used for a previous project. But after doing some research, I learned about geographical information systems software that allows mapping. Although I spent weeks teaching myself how to use it, I could ultimately map, obtain attributes, and evaluate over 100,000 potential locations in the four states that the retailer operated. This experience taught me not to give up, to keep thinking from different angles, and to talk to people for inspiration, even when I feel lost. Yoga. I’ve been practicing since I was 16 and, in 2013, completed a 200-hour yoga teacher training. Because my field of work goes through multiple rounds of criticism, yoga’s philosophy of focusing on the present and letting go of judgement provides balance in my life.